Homeowners shopping for a lawn mower used to be faced with the choice of a product that ran on electricity, but with a cord, or one that ran on gas; then battery-powered models came along and made the decision much easier. In fact, these cordless electric models should soon make corded mowers obsolete: They remove the danger and inconvenience of dragging a cord around while retaining the benefits of electric. So the real debate now is between owning a machine running on a rechargeable battery vs. one running on an internal combustion engine. 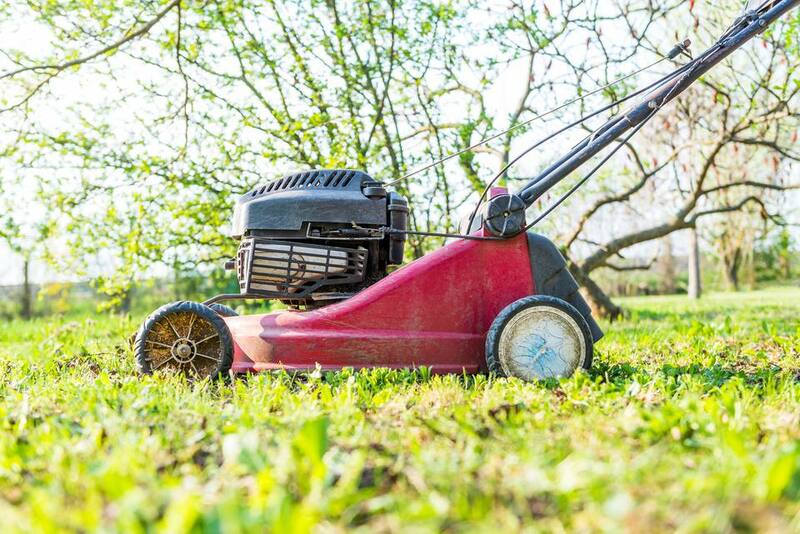 When corded electric mowers came onto the market years ago, they were heralded as providing responses to the various objections against gas-powered lawn mowers. The problem was you had to deal with a cord; this problem is eliminated with battery-powered mowers, which give you the same, cordless mobility as gas models. This is why, increasingly, when people discuss electric mowers nowadays as an alternative to gas mowers, they are really talking about the models powered by a battery, not corded models. You run the risk of electric shock if you mow wet grass with them. You have to mess with recharging the battery, which can interrupt your workflow. These two objections are, however, easily answered. There are a number of reasons why you should not be mowing your lawn when the grass is wet, regardless of the type of mower you use (including safety concerns, such as the possibility of slipping and exposing your body to a rotating mower blade). And the recharging issue is solved by remembering this one simple tip: Be sure to buy two batteries so that one can be charging while the other is powering your device. The resulting time savings is well worth the added cost. Gas units still work better where more than 1/3 of an acre must be mowed, and cutting tall grass puts too much strain on a battery. But if you own an average-sized lawn, mow faithfully (never letting the grass get too far ahead of you), and have enough leeway in your landscaping budget that you aren't limited to the cheapest of mowers, battery-powered units are the way to go. Unless you get a thrill from the roar of an internal combustion engine, there's no longer any reason to tolerate the dirtiness and inconvenience of gas mowers. For example, the Ryobi RY40190-2B has a cutting width of 20 inches. The battery runs up to 70 minutes but takes 3-1/2 hours to recharge. That recharge-time seems way too long for the runtime you're getting out of it. You needn't worry about purchasing the accessories separately: The machine, charger, and two batteries are all sold as a package. By contrast, the Stihl RMA 370 has a 16-inch cutting swath, so that increases your yard maintenance (you'll be making more passes up and down your lawn each time you mow). Its battery's run time is less (30 minutes) than the Ryobi's, but the time it takes to recharge it is also less (only 40 minutes). You will have to remember to buy the batteries and charger separately, which is a hassle. The Kobalt KM 2180B-06 is the best buy of the three. It is less expensive than either the Ryobi or the Stihl, despite having as good a cutting width (20 inches) as the Ryobi and better battery performance than even the Stihl: 60 minutes of run time, 30 minutes to recharge. Two batteries and the charger are included in the MSRP.